Every day thousands of people travel on foot to work, school or go on shopping trips. In crowded cities, where everything happens fast, people can get hit while walking on the pavement or through the lanes. Unfortunately, sometimes it is quite a serious accident, especially when a vehicle is moving at high speed and hits with increased force. Often, when a driver is under the influence of alcohol or drugs, he may collide with a group of people waiting for a bus or tram. Anyone who has such an accident is entitled to compensation for the losses incurred to health and finances. Contact Insito Claims and get answers to all questions completely free. Call 0208 940 0069 or use the form on our website. In such cases such as the one described above, there is a lot of damage inflicted to your body, e.g. 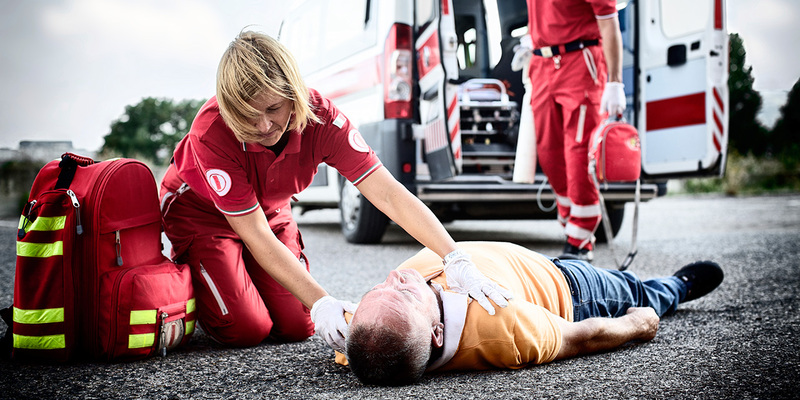 fractures, concussions, internal injuries and even permanent disability or, in the most tragic situations, death. It is important to respond rapidly when medical care is needed. Diagnosis and treatment also serve as proof for the court in determining our ability to obtain compensation. Testimonies from witnesses to the accident, the police arrangements for the offender and data about him are also very important. They provide the claims management company with the necessary arguments to fight for compensation. The settlement amounts are very different and are affected by the documents we provide. All bills for treatment and rehabilitation, as well as evidence confirming your inability to work, thus reducing your income, will help in obtaining the highest amounts of compensation. For example, for injuries of the arms we can get from £3,000 to as much as £28,000, for leg injuries £7,000 to £85,000, head injuries £6,000 up to £235,000 for very high injury that causes lasting consequences. In the case of permanent disability, any amount can be fought for with the help of our company Insito Claims. This is very important so do not be afraid to claim, and when you or someone in your family are involved in an accident in the UK, make sure that you have the support you need immediately. Our consultant will talk you through all the issues bothering you, will evaluate the situation and the amount you can get.